Having finished my A-levels and officially left school, my friends and I decided to celebrate by country-hopping on public transport with a (relatively) cheap ticket – or interrailing, as it’s more commonly known. For a bunch of 18 year olds who wanted an adventure it was the perfect option. 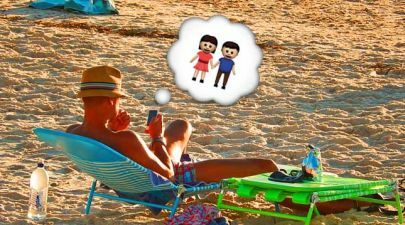 Clubbing holiday not for you? Interrailing is a great alternative! 1. Select the right pass – it may sound obvious, but choosing the most appropriate pass for your taste (and budget!) is paramount to kick-starting the process. Make sure to familiarise yourself with the options available at http://www.interrail.eu/ as you can alter the number of travelling days and the length of time the pass is valid for, as well as whether you want to roam around just one country or experience several at once. 2. Form a basic itinerary – try to form a logical route by linking your priority destinations. Going from Barcelona to Budapest then back to Berlin will mean excessive time spent on trains and less left for exploring! That said, the more relaxed you are about not booking in advance and having the willingness to travel spontaneously to wherever the sun is shining can pay off, often leaving you far less worried about missing trains or ferries. 3. Make the most of hostel facilities – if, like us, you want to keep overall costs low, hostels are far cheaper than hotels. The best option for skint and stingy students are those with a kitchen available. Being forced to eat out every night can end up being rather pricey, especially in large, tourist-heavy cities such as Amsterdam or Paris. A launderette or washing service is a good idea too, since you can pack lighter and feel clean every once in a while! 4. Be prepared for extra travel costs – I was unaware that you must pay to reserve a seat on European trains and that on most services reservations are compulsory. These are not included in your pass so make sure you budget for this in advance of departure – and don’t forget to book before your journey! Similarly, you may need flights at either end of the holiday to get home. Using comparison sites such as https://www.skyscanner.net/ can often help find the cheapest deals. 5. Pack light and prioritise comfort – always know that you will end up needing far less than you take. Try to pack accordingly – jeans and fleeces for two weeks in Spain in late August is a little unnecessary. On the other hand, it’s definitely good to invest in a good pair of explorer-type walking sandals. These dry faster than any other shoes, and are always comfortable no matter how much walking you end up doing! 6. 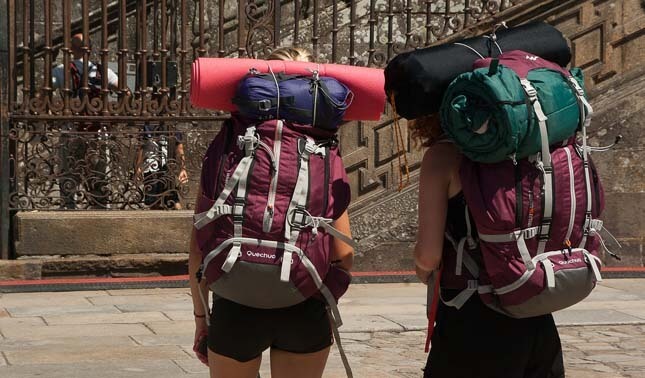 Select a good rucksack – this is the only item where you shouldn’t economise. You may feel like a numpty whilst getting fitted in the shop, but when you’re traipsing round in 30-degree heat and your pack is still snug and isn’t rubbing, you’ll feel the benefit! A suitcase just isn’t practical, particularly if you’re doing a lot of walking and hopping on and off public transport. It’s always good to choose a bag that isn’t too big, as this way you can’t be tempted to over pack. A 40+10 litre left me with more than enough space for two weeks away. 7. Share the organisation – it is important that you all enjoy yourselves – it is a holiday after all! If one person seems to be doing all the research, map-reading and communications, maybe give them a hand to take the pressure off and share out responsibilities. Or, if that person is you, ask people to help you out. The best way to have fun is to all pitch in with finding places to stay and working out how to get around. Hopefully these tips have been useful and, if you weren’t sure about interrailing before, have convinced you to give it a go! Got any questions or tips of your own? Make sure to leave them below! Really good article, especially about sharing organisation as if you plan it working together everyone is more likely to have a more enjoyable time! I think not a lot of people can access this type of information and often make the wrong decision. everyone is definitely going to have a more enjoyable time!